Here is the last award Babyanywhere has won – for giving mothers and parents like yourself the products and service you deserve. 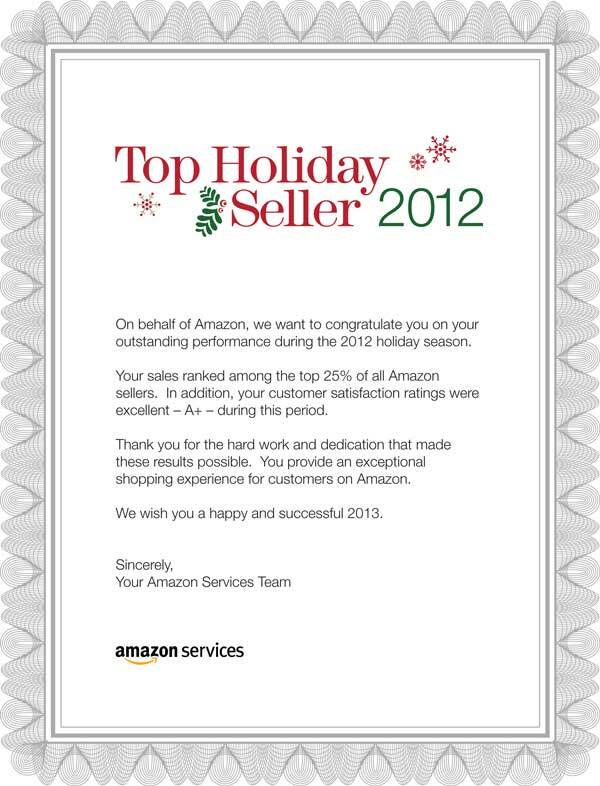 On behalf of Amazon, we want to congratulate you on your outstanding sales performance during the 2012 holiday season. Your sales ranked among the top 25% of all Amazon sellers. In addition, your customer satisfaction ratings were excellent — A+ — during this period. Thank you for the hard work and dedication that made these results possible. You provide an exceptional shopping experience for customers on Amazon.